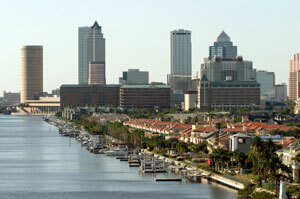 Tampa, St Petersburg, and Clearwater are generally considered to be the premier cities of the Tampa Bay area. Home to more than 700,000 residents—plus millions more in surrounding communities—Tampa, St Petersburg, and Clearwater boast beautiful beaches and parks, exquisite homes, and thriving businesses. Perhaps best of all, Reliance Consulting maintains an open-door policy with each and every one of our clients. If you wish to have a Tampa CPA who is accessible to your questions and concerns, or if you are simply looking for an accountant who will take the time to explain the various financial options available to you, give Reliance Consulting a call today. From healthcare professionals in Lakeland to resort owners in Sarasota to homeowners on Clearwater Beach, we invite all residents of Tampa, Clearwater, St Petersburg, and nearby communities to contact us for a free financial review. We look forward to providing you with an effective, tailored approach to your financial objectives.